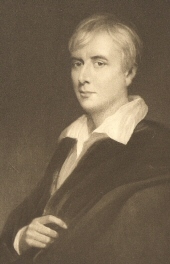 Welcome to the George Borrow Society website, which is full of information about George Borrow. The George Borrow Society was founded to promote the life and works of George Borrow: we have regular events and produced the George Borrow Bulletin — packed full of information about George Borrow, our events etc. Following the unexpected death of our chair, Dr. Ann Ridler, our website is being re-organised: please bear with us as we do this. The menus at the top of the page take you to the various parts of our website, and we try to put useful links on each page.